In the rainforests of south-west New Zealand, Fiordland crested penguins have opted to breed during the winter, a trait they share with emperor penguins. Why they should find July romances so attractive is a mystery. 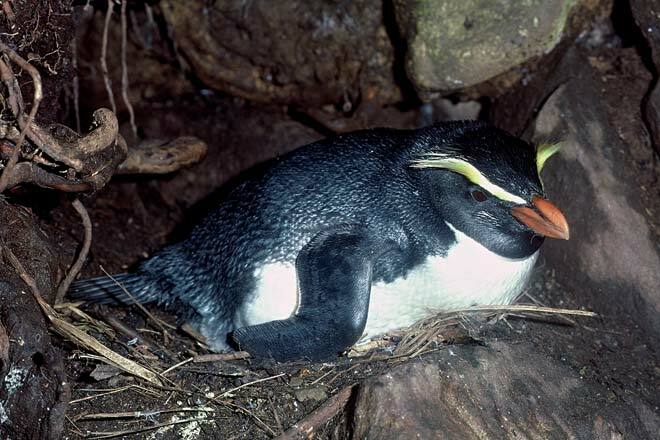 They build their nests in sheltered sites amongst vegetation or large boulders.